Working at the RBG Kew, in her own garden and travelling to 20 countries, Heather Angel has captured images that portray the interaction of plants with their floral visitors. 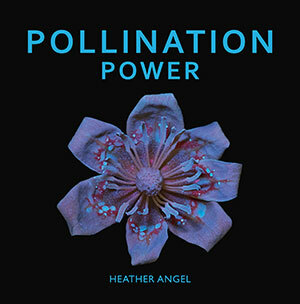 They provide an intriguing insight into how flowers communicate with their pollinators. Some change colour – over all or part of the flower – when the flower no longer has rewards on offer. Others control precisely when pollinators enter or leave by the time they open and close their petals or when they emit a scent. Some fascinating pollination stories are highlighted here. 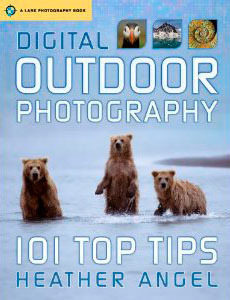 The images range from intricate macro studies to wildlife shots, combining scientific accuracy with a strong pictorial appeal. Focus stacking was used to enhance the depth of field for three dimensional flowers and high speed flash to capture pollen release by simulating buzz pollination. In addition, ultra violet flash reveals UV floral guides hidden to our eyes. 224 pages and over 200 colour images – mostly full pages. Heather’s latest book is a beguiling natural history travelogue with stunning landscapes as well as native fauna and flora by a naturalist/biologist who has travelled extensively in China. 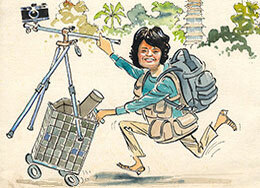 Exploring Natural China reflects the growing interest in eco-tourism within this vast country spanning 35º latitude. Heather’s favourite image: a mother white-cheeked gibbon with her baby in tropical rainforest appears on pages 120-1, 128 and 129. Heather’s favourite image: a shoal of rudd swimming over green algae appears on page 79. Japan’s sole monkey – the Japanese macaque – lives both in subtropical lowlands and in subalpine regions. The animals living in the Japanese Alps, where snow blankets the ground for most of the winter, are affectionately called snow monkeys and have become a great tourist attraction. Here, macaques enjoy warming up in a natural hot pool. In this enchanting book, Heather unravels how these monkeys live in troops: showing them in different seasons bathing and drinking in the hot pool, grooming, feeding, youngsters playing with snowballs and heart-warming shots of newborns with their mothers. There are unique shots of a mother diving underwater with her newborn, torn between the natural instincts of clinging tightly to its mother, or letting go to reach the surface to breathe. Heather’s favourite image: a doleful-eyed baby macaque sits on the ground framed by its mother’s legs which it grasps with its hands appears on page 45. Puffins are my favourite seabirds and the most productive place to work is Iceland – the Atlantic puffin capital of the world. Here I took some fun shots of puffins plucked from the cliff top in a gale, hovering like hawks. Their feet, wings and tail are clearly all askew from the powerful wind. Heather’s favourite image: a puffin portrait in the rain appears on the front jacket. For Heather’s third panda book many thousands of shots taken over a 13-year period and 7 trips to Wolong, in Sichuan Province were finally distilled down to 200 images. They show pandas feeding, drinking, playing, climbing trees and lounging; thereby providing an insight into this iconic animal’s way of life; with each picture having an extended caption. Heather’s favourite image: a giant panda slides down a snowy slope appears on pages 108-9.